A lot of us mamas love to wear beautiful jewellery. Costume jewellery has a time and a place but personally, I’ve always been drawn to more classic pieces of fine jewellery that I can keep forever and I know will never go out of style. There’s been a lot of press recently about fast fashion and the negative impact this has on the community and environment that produces it. The same also applies to jewellery – do you know whether the jewellery you wear has been ethically produced? Where did that sparkly diamond on your finger come from? Ingle & Rhode – The Ethical Jeweller offered to send me one of their beautiful pieces of jewellery in exchange for an honest review. It’s a great opportunity for me to share with you why it is so important to consider buying ethical jewellery. Ingle & Rhode is based in London and produces beautiful, fine jewellery, including engagement rings. They also create more unusual rings and have a bespoke (made to order) service. You can see some of the slightly different emerald and sapphire engagement rings available here. For those already engaged, they have collections of wedding rings and also eternity rings for couples looking to commemorate a special occasion. What sets Ingle & Rhode apart – and why I’m so excited to introduce you to them – is that all of their jewellery is 100% ethically-sourced and Fairmined. They use conflict-free brilliant cut Canadian diamonds, Fairtrade gold and Fairmined silver, and recycled gold and platinum across their collections. I’ll be honest and admit that before this collaboration, I didn’t really know much about ethical jewellery. I’d heard of blood diamonds but didn’t really know much about the subject. I’ve since learned that although the Kimberley Process was put in place to eliminate the trade in conflict diamonds, they can still be smuggled across borders to be certified, and there is still a risk that you could end up wearing a blood diamond. Ingle & Rhode uses only conflict-free Canadian diamonds in their jewellery. I lived in Canada for a year and had no idea that Canada produces around 15% of the world’s gem quality diamonds. They operate under very strict working regulations, and Canada is the only country in the world that monitors and tracks diamonds from the mine. Larger diamonds are even laser-inscribed so you can enter your number into the computer and trace the exact source of your diamond. Pretty amazing, right? Ingle & Rhode is really proud of that the fact that it was one of the first jewellers in the world licensed to offer jewellery made with certified Fairtrade gold. If you buy jewellery made from Fairtrade gold, you can be confident that the small-scale miners who produced it received a fair price for the gold, and that their communities benefit from better living and working conditions. I was sent a piece of jewellery from Ingle & Rhode’s Silver Collection, which is designed and made in the UK from Fairmined sterling silver and set with conflict-free Canadian diamonds. If you buy one of these pieces, you can be confident that the silver has come from small-scale mining organisations who operate responsibly and in line with world-leading standards. This is the Droplet Pendant, which costs £295. Isn’t it beautiful? This is such a classic piece that will go with pretty much anything. The Droplet Pendant is a simple design but is still very striking. The droplet is about 5cm long and it comes on an 18inch sterling silver trace chain (which, as you can see in the photo below, is the perfect length). The trace chain is delicate and fine, which I really like and makes a nice contrast to the statement of the droplet itself. I especially love the Canadian diamond set at the top – this really makes the pendant extra special and gives it that lovely bit of sparkle. 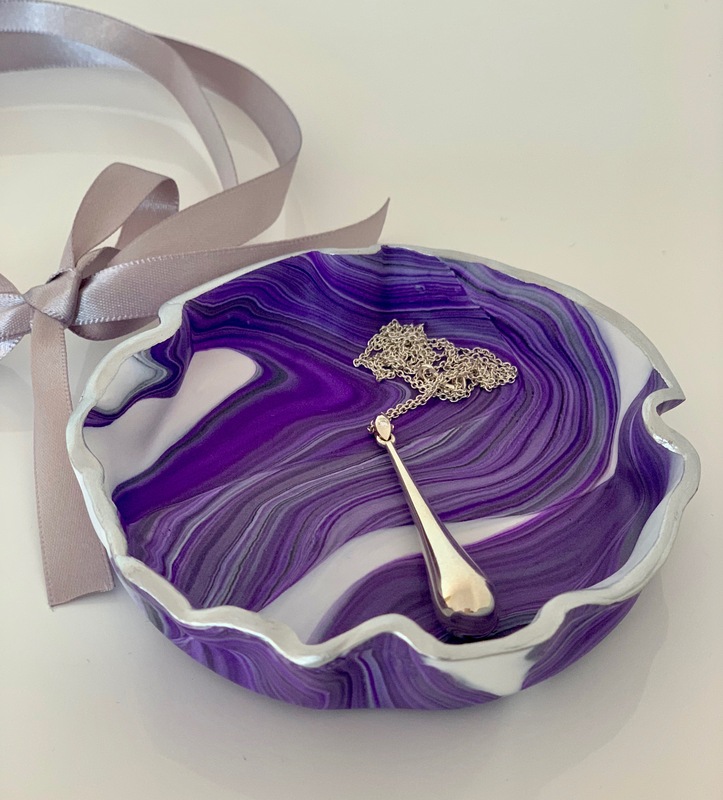 The pendant arrived very quickly after ordering, and was presented in a black box in a purple and white Ingle & Rhode bag, which was tied with a purple ribbon. I love the Droplet Pendant, it’s stunning. I’m so pleased with it. And as a brand, I really admire what Ingle & Rhode stand for. They are absolutely dedicated to producing really beautiful pieces of jewellery that are 100% ethically-sourced and fairtrade. Ethical jewellery is an important subject that we should all start thinking about more. Yes, we all want to wear beautiful jewellery but it is our responsibility to know where it came from, who made it, and how it was produced. I’m definitely going to be more aware of this from now on. If you buy a piece of jewellery from an ethical jeweller such as Ingle & Rhode, you really can wear it with pride – which is exactly what I’m doing with my beautiful Droplet Pendant! Disclaimer: The Droplet Pendant was gifted to Mums Off Duty for the purpose of review. All words and opinions are my own.